Spell out a favorite four-letter word with our 534-piece jigsaw puzzle set. Each letter is its own puzzle. 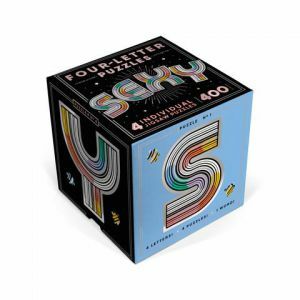 When completed, the four individual puzzles altogether form the word. It’s a new way to turn puzzling into wordplay! Cool puzzle design has a psychedelic feel to them. Far out!